Montreux Riviera is the perfect location. Ideally positioned between Lake Geneva and the Alps, Montreux Riviera, with its enviable microclimate and sun-filled vineyards, is the absolute top destination for meetings and events. Centrally located and close to Geneva Airport, this spot is the prime place to hold international congresses, conferences and motivational trips. The natural atmosphere and beauty of the surroundings, as well as the timeless charm of the Belle Époque architecture, offer a setting one will never forget. A unique region, attached to its roots but open to the world, Montreux Riviera has been attracting visitors for over 200 years. It is not surprising that some famous personalities, including Charlie Chaplin, Freddie Mercury and Igor Stravinsky, developed particularly close and lasting relationships with this unusual area. Chaplin used to live in Corsier-sur-Vevey. His mansion is currently being renovated and turned into a museum, Chaplin’s World, dedicated to his life and work, due to open in 2016. Additionally, the Modern Times Hotel will open its doors at the end of 2015, and is located close to the museum. This new four-star hotel will not only welcome guests of the new attraction, but will also host seminars and meetings. 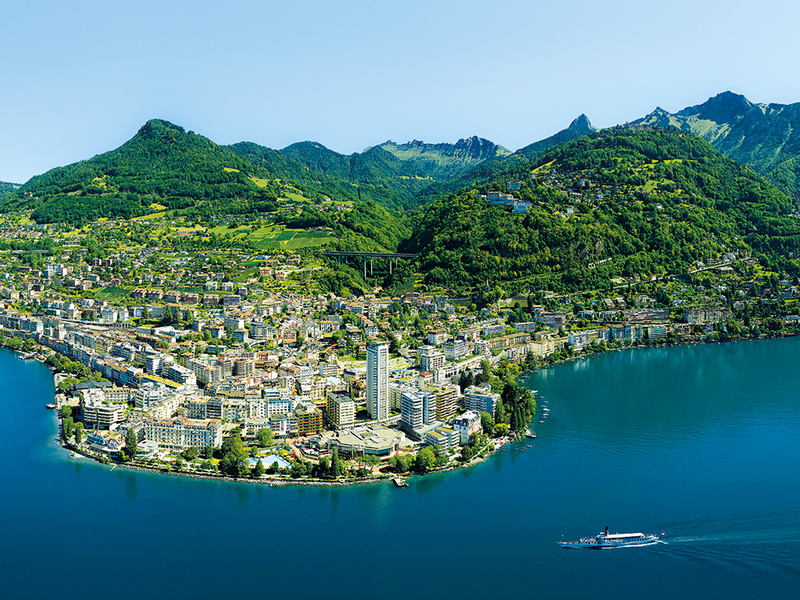 If Montreux is a benchmark for the luxury hotel industry, business tourism, top-class gastronomy and wines, education, and health clinics, its natural beauty is no less impressive. Perhaps the most renowned examples of this are the Lavaux terraced vineyards, collectively recognised as a UNESCO World Heritage Site. The Lake Geneva region as a whole is one of the most famous areas in the world when it comes to dining. Local specialities, business meals, gourmet menus and products from the lake or the market come together, resulting in a cuisine as varied as it is impressive. There is no shortage of good tables either. Montreux Riviera offers 23 restaurants that are recognised by either the Chef Hat or Michelin awards. In total, nine Michelin Stars and 337 Gault Millau points were awarded in the area in 2014. The sommelier Jérôme Aké Béda, of the restaurant Auberge de l’Onde in Saint-Saphorin, was also recently named sommelier of the year by Gault Millau. As for activities, the Montreux Jazz Festival, Christmas Market, Comedy Festival and Septembre Musical are the most well known, but they are strongly supported by a variety of events, which complete a top-class range of cultural attractions. Claude Nobs, deceased founder of the Montreux Jazz Festival, developed the Montreux Jazz Café chain along with Mathieu Jaton, his successor. Their goal was to offer music lovers and artists a cosy and friendly place to meet. These cafés are founded on the essential values of the Montreux Jazz Festival: passion, history and conviviality. After opening Montreux Jazz Cafés in Geneva, Zurich, London and Paris, they finally opened one in Montreux this summer. It is located in the heart of the city, a few minutes away from the Congress Centre, the lake and the main hotels. Enthroned on an islet, on the shore of Lake Geneva, the most famous castle in Switzerland is unquestionably Chillon Castle. Built in the 12th century by the Counts of Savoy, this Medieval castle is one of the finest monuments and most visited in Europe. The castle’s two magnificent halls are available for group banquets and galas of up to 650 participants. 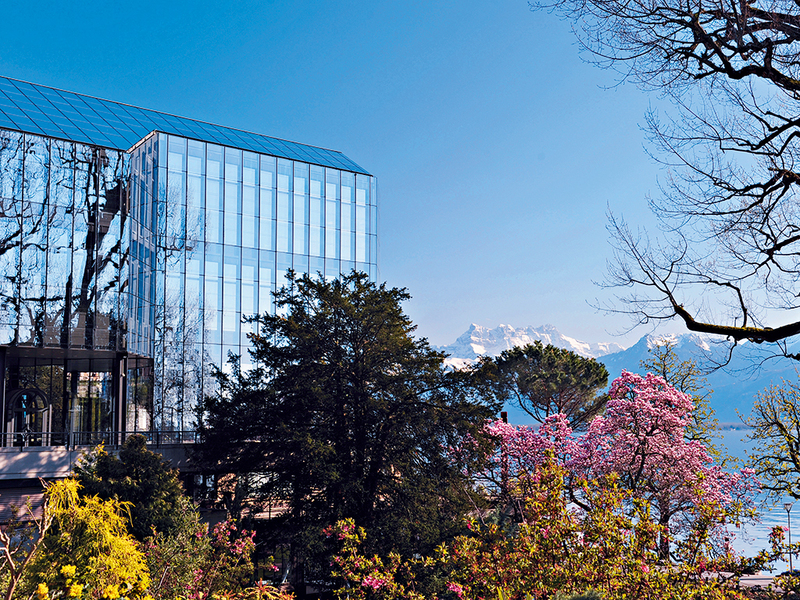 As one of Montreux’s leading venues, the Montreux Music and Convention Centre (2M2C) expertly accommodates meetings and conferences, as well as hosting the Montreux Jazz Festival every July. Situated on the shore of Lake Geneva, the centre is located within walking distance of most hotels. The 2M2C features 18,000 square metres of event space and 23 meeting rooms between two connected, glass-walled buildings designed to take full advantage of the lake and mountain views. Event spaces include the 1,800-seat Auditorium Stravinski, which is famous for its acoustics. The creation of a new communication and data centre (CDC) has helped keep the 2M2C technologically up-to-date. As soon as it was operational, the CDC was put to the test by the Geneva II Conference on Syria, as the 2M2C was used as the press centre as well as the police HQ for the event. No fewer than 1,032 journalists were able to use new installations, including 400 wired internet connections, 600 simultaneous highspeed Wi-Fi connections and an HD broadcast of the conference from 14 TV and radio studios, with simultaneous translation on radio channels. With these new tools, the 2M2C has demonstrated its desire to offer its clients the best service in terms of communication facilities. As a member of Tourism for Development, Green Globe and the United Nations Global Compact, the 2M2C recognises that it has an ecological responsibility. The centre undertakes to frame its own challenges and objectives in terms of sustainable development and to express this in its policy, projects and management practices. The air conditioning for the 2M2C is provided by water from the lake. This eco-friendly system allows for an energy saving of almost 700,000kWh per year. The metallic structure of the 2M2C is protected by a vegetative roof to create and to preserve a connection with nature. Low wattage light bulbs are used throughout almost the entire facility. Safety is also very important in Montreux. Seamless collaboration between the city, the police force and the 2M2C made it possible to host the 13th Francophonie Summit as well as the aforementioned Geneva II Conference on Syria. Montreux Riviera offers a diverse range of hotels, with more than 2,500 rooms in various categories, including the Belle Epoque Fairmont Montreux Palace, opened in 1906. The main hotels are located centrally, within a short walk of the Congress Centre. In addition to this, free travel is offered on the whole Montreux Riviera network for people who are staying at a hotel in the area. Montreux Riviera Convention Bureau and its hotel partners have developed an offer for congress and meeting organisers, called Meetings Made in Heaven: book a minimum of 400 hotel rooms and you get free meeting space at the 2m2c. The Convention Bureau has also developed a new tool: Montreux Riviera Event Planner. This digital and interactive guide presents all the essentials about the destination: hotels, meeting spaces, venues, restaurants and activities. Organisers can select anything that interests them and then send an RFP through the website. Incredible events and venues, glorious sunshine, breathtaking scenery, and something for all: Montreux Riviera – pure inspiration.